Wow, Sam! 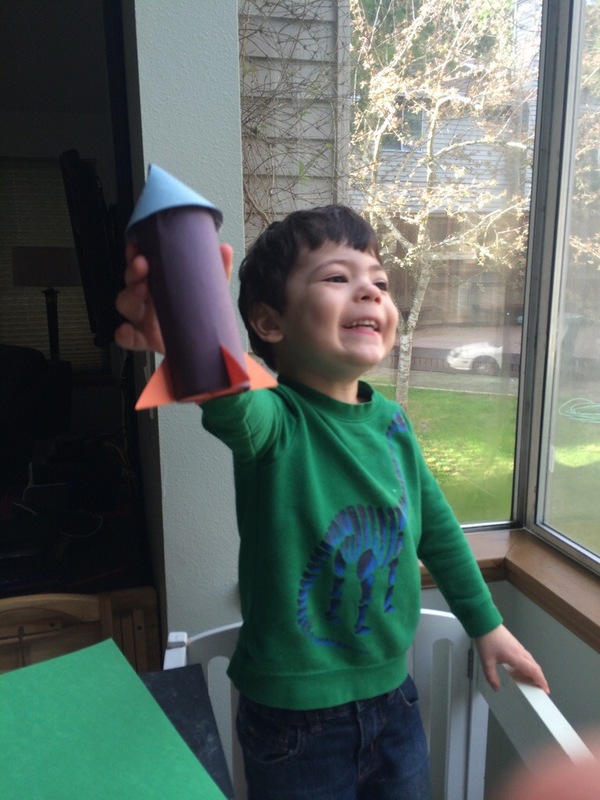 That is a truly awesome rocket you made there! 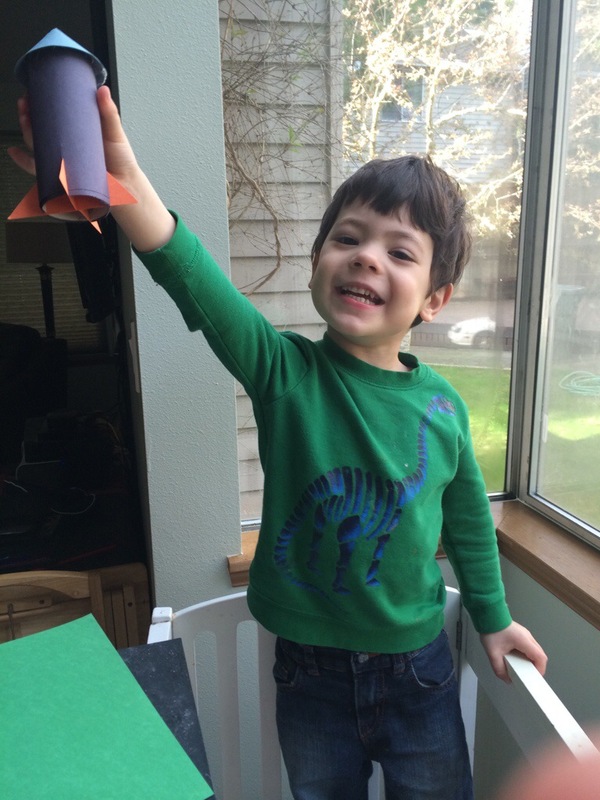 You know, when your Dad was your age, grandpa was into setting off rockets with him. Remind Grandpa when we come visit, and maybe you, he and Daddy can share the fun of doing it together too. We love you so much! Sam is going to love that!